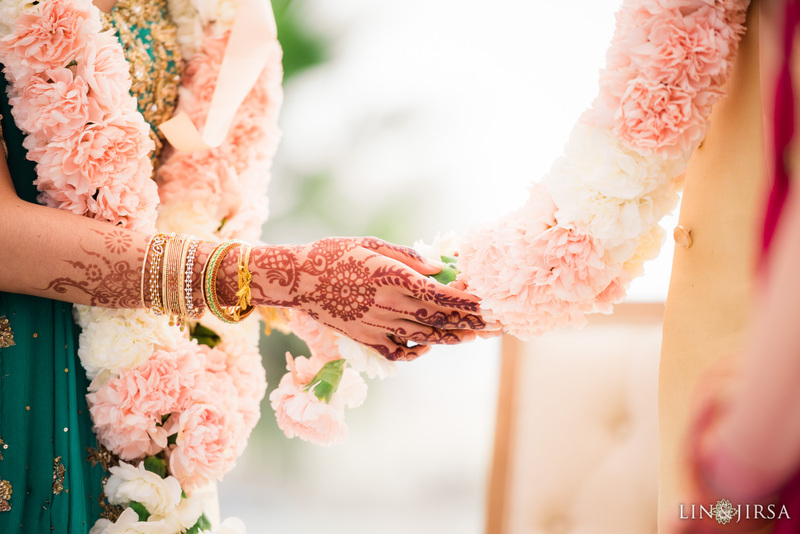 The true essence of Indian Weddings stem from the customary rituals that take place throughout the wedding day. 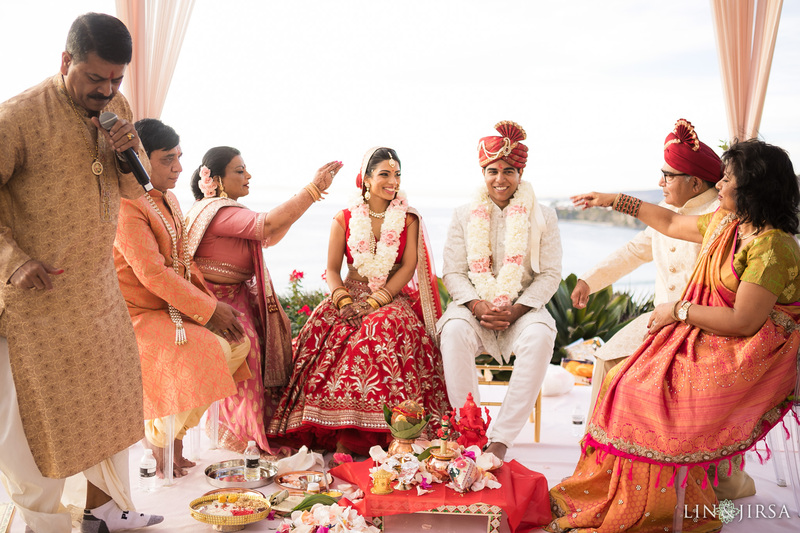 The Varmala Ceremony, also referred to as Jaimala, is the commencement of the Hindu wedding, serving as the first time the Bride and Groom meet before starting the wedding ceremony. Mala is the Hindi word for garland, usually consisting of flowers bunched together on a string. The exchange represents the acceptance and union of their forthcoming nuptials. According to tradition, Varmala’s consist of a variety of colorful flowers that also adorn the Mandap and wedding venue. Roses, carnations, marigolds, and orchids are all used to create the garlands used for the ceremony. The flowers represent excitement, happiness, and beauty – all tied together on a string signifying the marital union. Modern Mala’s can consist of dollar bills, an offering of good luck to the couple. 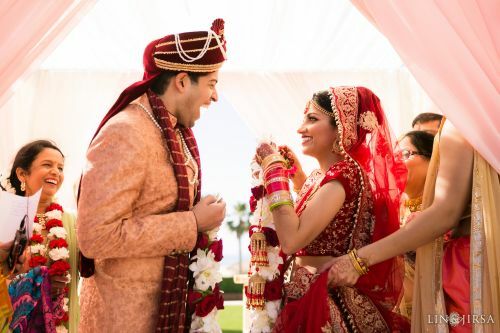 The Varmala Ceremony takes place after the Baraat and also signifies the start of the wedding rituals. 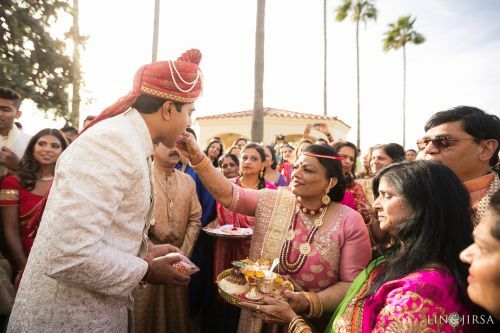 The Groom makes his way to the entrance of the wedding venue and meets the Mother of the Bride, who applies tilak and performs aarti to rid him of any evil eyes cast upon him. 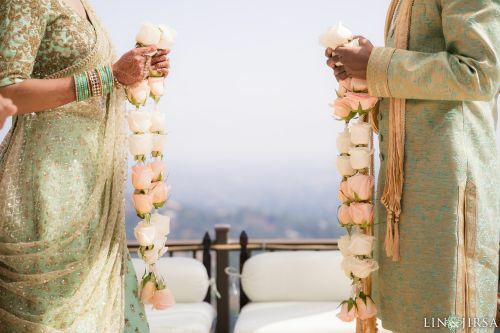 Traditionally the Groom then takes his place at the Mandap and awaits his Bride, however some couples choose to exchange their garlands after the Mother’s blessings. 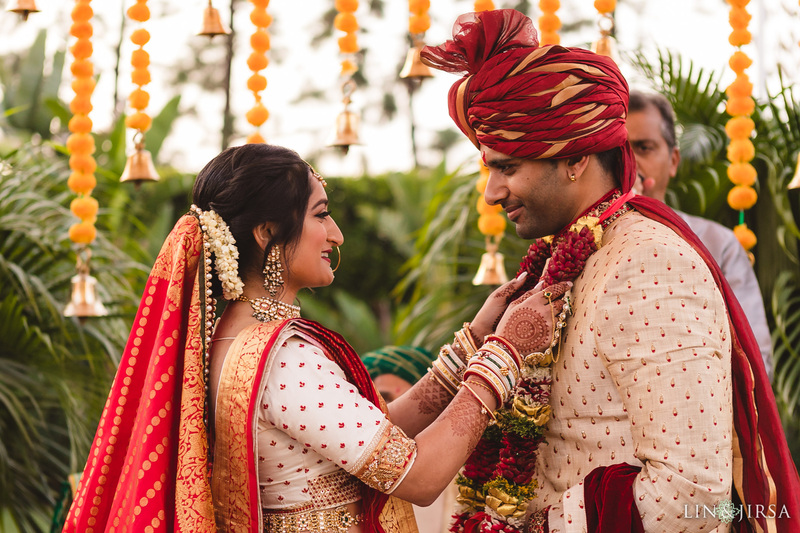 After reaching the Mandap, the Bride is the first to attempt to exchange the garland, fighting off the Groom’s side as they playfully hinder her from placing the garland around his neck. This moment is highly anticipated amongst the guests and family in attendance due to its teasing nature. Once the Groom successfully exchanges his garland the couple takes their seats at the Mandap to start the ceremony.